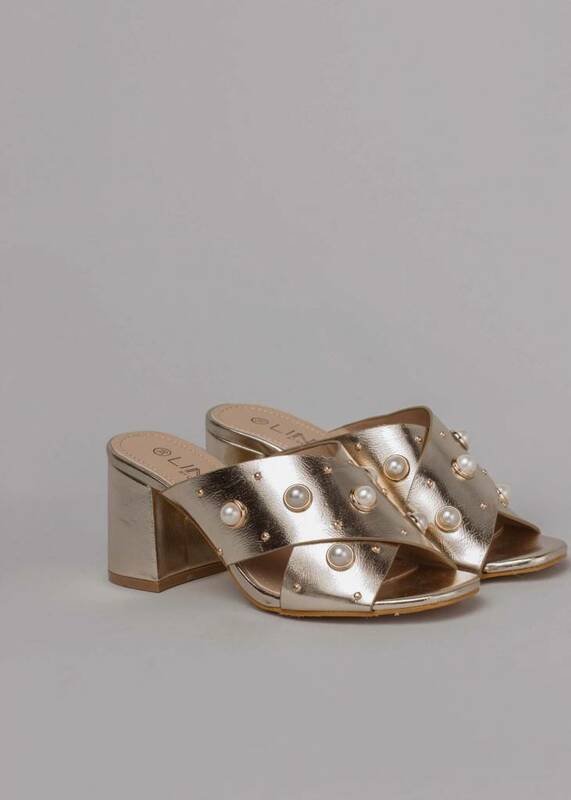 Spice up the outfit with these golden girls! 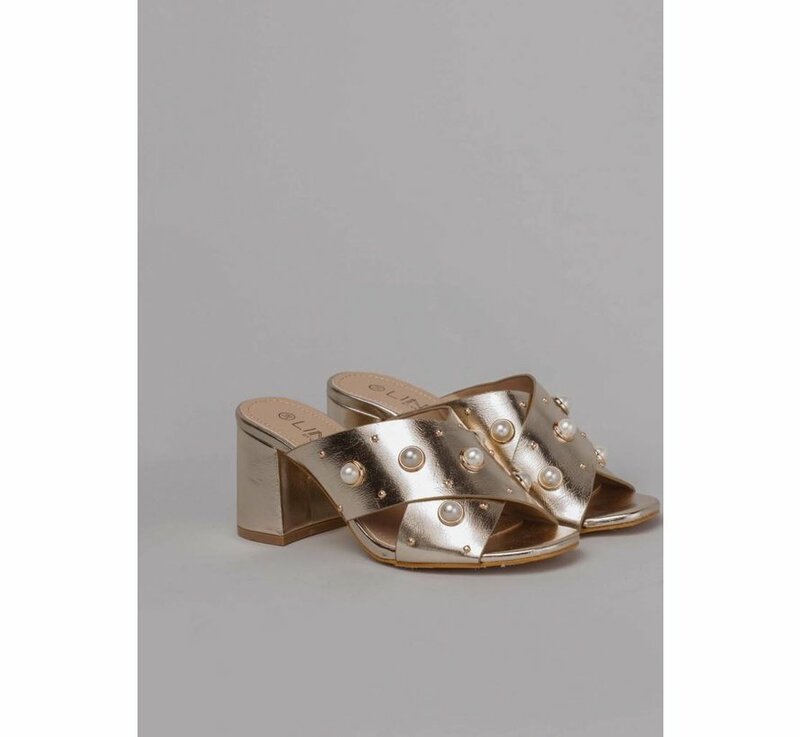 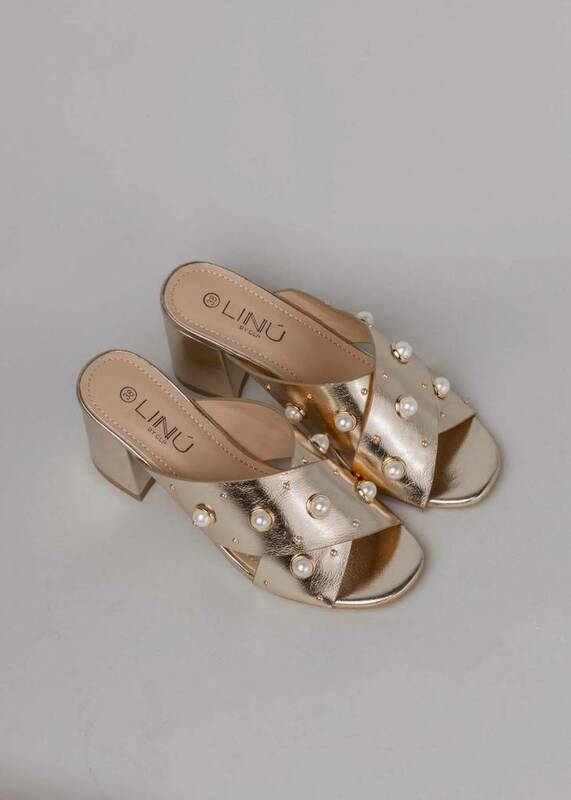 These mules are finished with nice pearls that lift up any ordinary look straight to fabulous! Absolute must-have for every style queen!